Home BuzzIn Honk, honk! RailYatri Smart buses have arrived! When you think of long distance journeys, what are the transportation choices that spring up in your mind instantly? Trains and flights, of course. But our question is: why not buses? After all, they are economically more viable and seats are available even at the last minute? OK, we understand your doubts. The bus eco-system in India has not matured enough to infuse your interest. And that is why any traveler has double thoughts before booking a seat in long distance buses. Loyal users of RailYatri would already know that we have been offering bus booking services over the last couple of years and more. And during our association with the bus sector, we have identified various problems existing in this essential travel domain. We were of course helped by the negative feedback and mails from our users. So, we decided to take it upon ourselves to find a solution to the longstanding problems in the Indian bus eco-system. And our first effort was to launch a bus service of our own. We truly mean it. RailYatri smart buses are owned and operated by us. This gives us more control over the operations and that in turn would help us make your bus journeys better than they ever were. 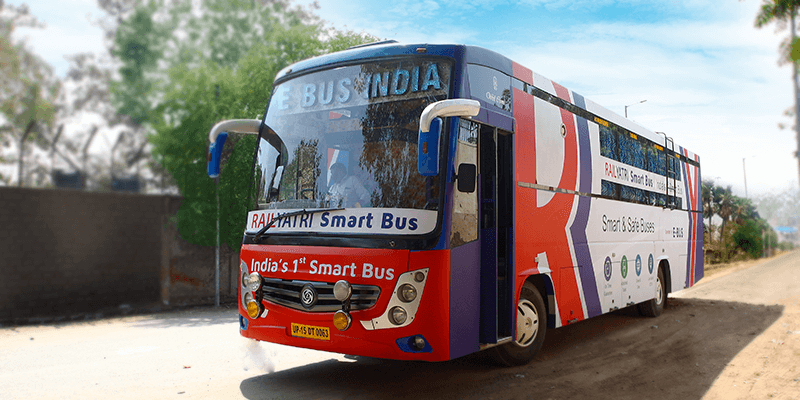 What is so special about RailYatri’s Smart Bus Service? We saw this question coming, after all bus passengers often hear big claims only to find that the ground realities are not even close to the promises. But you can be rest assured that our bus service offers a solution to the common problems you face. 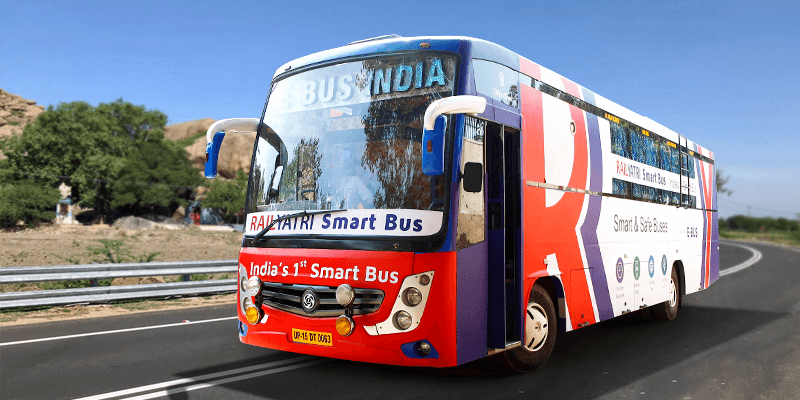 After solving many problems associated with train travel in India, we at RailYatri have now decided to amend the follies in another high potential travel domain – Buses. And how would we do that? Simply by offering you services that none other has even thought of. Absence of timeliness is the biggest concern for the travelers, when it comes to bus travel. This is what we at RailYatri have tried to rectify. We are so confident about our services that we are ready to offer an on-time guarantee. Meaning we would give you 50% refund straightaway if our bus does not remain on-time. Have you come across any other bus service provider who is willing to make such an offer? In the past, we felt bad when you complained about the bus operator cancelling the trip on the exact date of journey. While we really cared about your inconveniences we did not have the authority to instruct the operator to run the bus come what may. But, now that we our own bus service, we are ready to offer you a guarantee on daily service. If you have booked a seat, the bus will arrive – that is our assurance. Bus breakdowns are a horrific experience, especially when it occurs in the middle of a forlorn highway. That is why we conduct detailed trials before any of our bus leaves its boarding point. We also keep a close eye on the health of the vehicle. So, there are hardly any chances of vehicle breakdowns. But, in exceptional instances, when you face such a problem we take the responsibility of reaching you to the destination with a minimum time lapse. 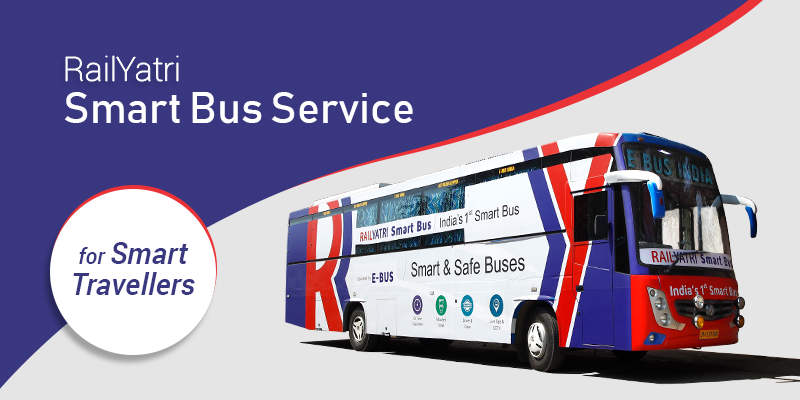 When you board a RailYatri smart bus, your journey becomes our responsibility. What makes train journeys so comfortable? Well, there are many facets, but one of the most important aspects is the presence of toilets in the coaches. On the other hand, while journeying in long distance buses you have to wait for the next refreshment break to answer the nature’s call. This is can be a tough ask for the elderly as well as women passengers. So, we mitigated this problem. All our smart buses come fitted with clean and hygienic in-coach urinals. When you hit the road on a long journey, many things might go wrong. So, your family members have every right to stay anxious. Well, you can pacify their anxieties by boarding a RailYatri Smart Bus. We offer you the facility of tracking your bus in real-time. Internet is the necessity of life, even when you are travelling. We understand this, and that is why we offer free Wi-fi facility within the bus coach. So, browse at merry while you are on-the-go. We assure you two things: you would never face rude behavior from our crew members and our drivers would offer you a safe drive! How are we so confident? Well, we have handpicked the most experienced bus crew members after checking and verifying their credentials. Apart from comfortable seats and modern coaches, we offer you other facilities too. When you board a RailYatri smart bus, we instantly give you pillows, blankets and mineral water bottles. Now, that you are really interested about RailYatri’s new smart bus service, let us give you some specifics. Presently our smart buses are running in the ever popular route between New Delhi-Lucknow-New Delhi. The seating capacity of our buses varies from 36-42. And they include Sleeper & Seater and Sleeper only coaches. Our buses would be covering a distance between New Delhi-Lucknow and vice versa in 7 hours. And we have selected pick-up and drop off points keeping the passengers’ convenience in mind. You can book RailYatri smart buses, of course from RailYatri app or website. Apart from that you can also visit TravelYari, Yatra and Ixigo to book our buses. So, when are you travelling with us? Presently we are offering great discounts on our bus bookings. If you have any other queries, please write back to us at feedback@railyatri.in. Next articleITC boards the RailYatri Express!